Ugh. Another close loss in the SEC. The first half almost went Auburn’s way completely, as the Tigers hit 11-19 threes, and Jared Harper led the way with 14 points. Auburn led 26-10 with 11:02 left until halftime before LSU cut it to a 29-26 game, but the margin was pushed back to double-digits with barely two minutes left in the half. Leading 41-31, Auburn then allowed LSU to go on a 7-0 run that was capped by Tremont Waters’ buzzer-beater three at the end of the half. Suddenly, it was a disappointing end to the half after Auburn had hit 11 threes and now only led by a single possession. After halftime, Auburn quickly fell behind. Two more Waters threes put LSU up 48-45, and Auburn couldn’t cut the deficit to less than two possessions because of the deficiencies on the glass and in the turnover game. LSU built a 10-point lead with 8:42 left, but Auburn would make a push late. LSU led 77-67 with 2:39 to go, but Auburn strung together a quick 6-1 run to pull within five points. After a Skyler Mays free throw, Harper buried a long three, and then a five-second call allowed Auburn two straight possessions. A Chuma Okeke layup pulled the Tigers within a point, and after two made free throws from Mays, Auburn had two chances to tie down 81-78. Both Harper and Bryce Brown appeared to be fouled shooting three-pointers, but there were no whistles, and LSU escaped after two late free throws by Waters. 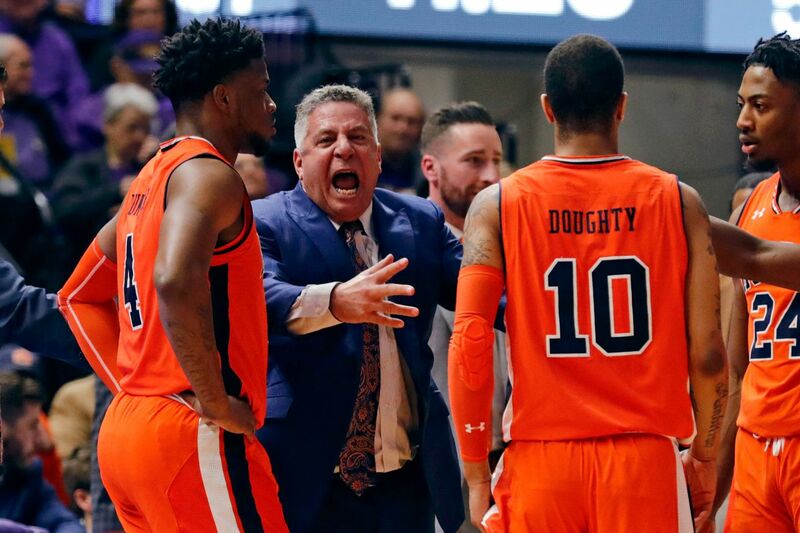 Harper’s 25 points led all scorers, and Chuma Okeke had a fantastic game with 12 points and 14 rebounds, but it wasn’t enough as LSU hit 18-26 free throws, while Auburn went just 8-13. With the loss, Auburn drops back to .500 in the SEC at 5-5, while LSU keeps pace with Tennessee in the standings as they improve to 9-1. Up next for the Tigers, it’ll be back to the friendly confines of Auburn Arena for a date with Ole Miss on Wednesday night at 7:30 pm CST.